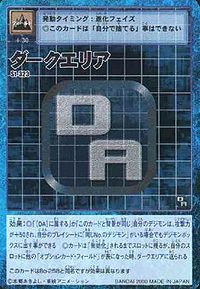 The '''Dark Area''' (ダークエリア, ''Dāku Eria'') is the part of the [[Digital World]] where all evil Digimon originate from and is also the "graveyard of deleted data". It is a place formed from pure darkness and negative energy. It is unknown how far or deep the Dark Area extends but there is land within it. 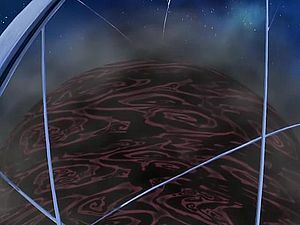 [[Demon]], one of the Seven Great Demon Lords has a castle there and so does an immortal Digimon called [[Gran Dracmon]]. It is said that Gran Dracmon is related to how the area was created. 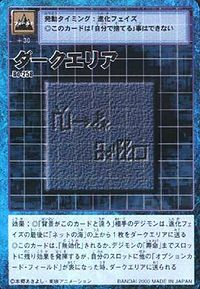 The Dark Area has been used to seal away many evil Digimon in the past.